After go the step 3 : init.bat with admin then it gives a error . 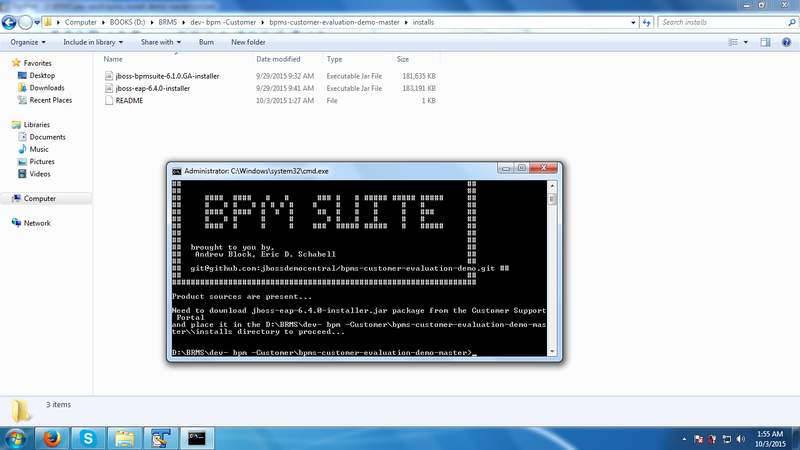 not found jboss eap and bpm suit . i am got same error . Please give me a solution . Both issues fixed. See project, update yours and the path problems in windows have been accounted for in the installation script.